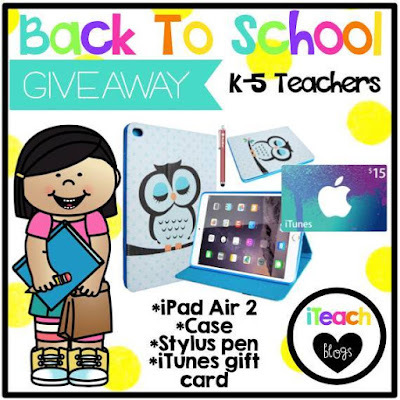 iTeach First Bloggers Back to School Giveaway - It's a Big One!! The teachers of iTeach First have a FABULOUS giveaway for you! Who doesn't want an iPad Air 2 with a shock proof, kid-friendly case that also doubles as a desktop stand, a stylus pen, and an iTunes gift card? You can use this iPad as a personal device to help you get organized and lead whole-group activities, as a small group learning center, or as an individual choice time or enrichment activity. 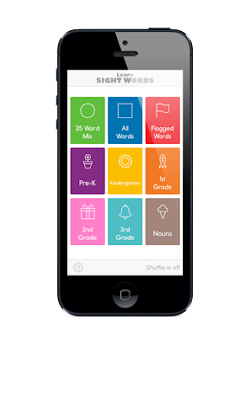 With so many free educational apps to choose from these days, the possibilities are endless. No matter how you chose to use it, we know that it will become a favorite resource in your class this school year. Winning this would make anyone's back to school special! To enter, just fill out the simple rafflecopter entry form here. Here is an iPad app my first graders love. It is called Learn Sight Words. It is great for the primary grades. Just for fun, comment below to tell us why you want to win it, or how you would use it in your classroom. I can’t wait to hear all of your fun ideas. Best wishes to you all, and may the odds be in your favor! I want to win because the different educational apple apps would provide interactive learning experience.